by Yannis Karpouzis, Giorgos Prinos, Giorgos Karailias, Pavlos Fysakis. The fact that today there are Grossraums formed, thus there is a war incited, is no worse and no more frightening than other earthquakes of previous centuries. Why be afraid of Behemoth more than Leviathan? The writings of Carl Schmitt,the German jurist of the 20th century, denote and rationalize the expansionist eagerness of the ruling class in Germany from a very early period. The strategy of spatial occupation and political aggression led to two world wars and the formation of the Third Reich. Grossraum is the actual area of a state’s dominance, where its interests are expanded. Experiencing such a form of exploitation today, we strongly believe that symptoms reach the same depths with structures and we constitute negations throughout sociopolitical spectrum sharing as an objective the refutation of the very spectrum. 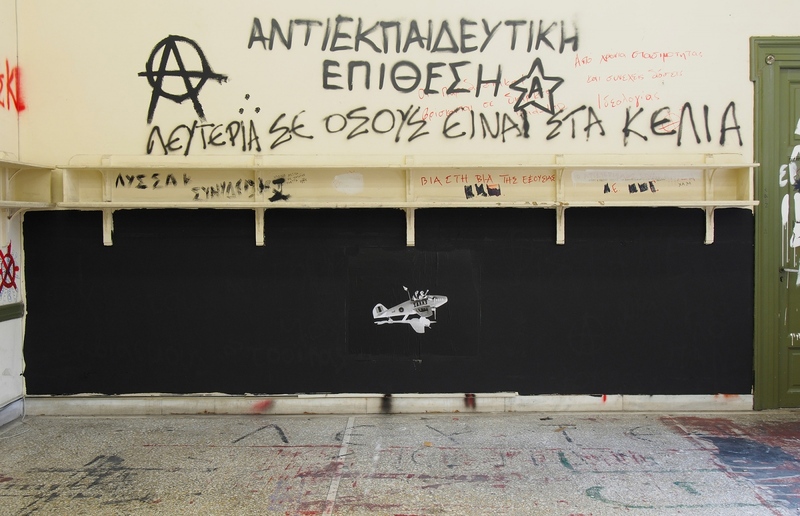 Re-using and acting in a public space is crucially important; especially Gini building, historically opposed –symbolically and literally- to all forms of power during the last four decades in Greece. 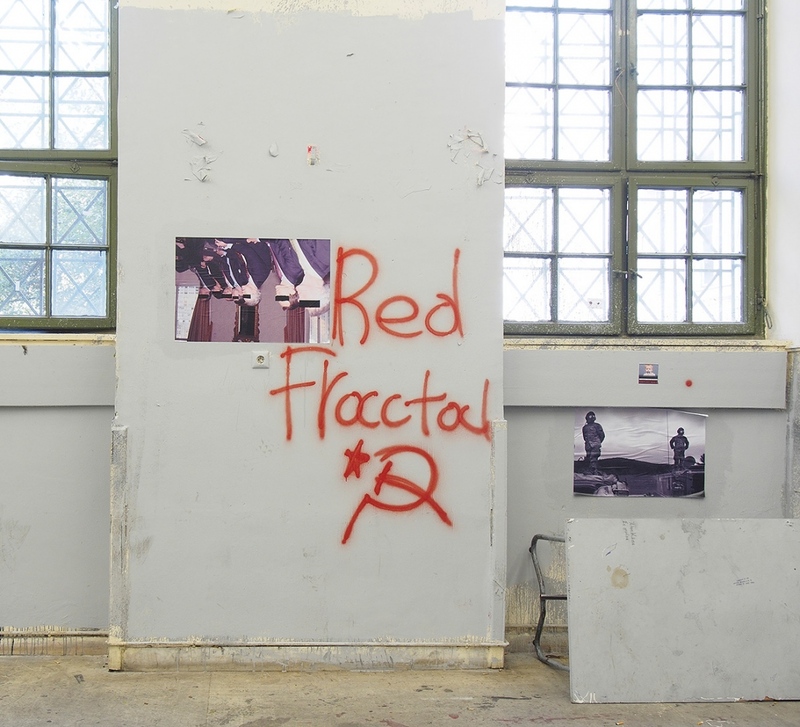 Reclaiming those public spaces is crucial for the strengthening of participatory, cooperative and collective means of expression and action against each imposed Grossraum.